I listened to “Tell Her You Saw Me” a lot, when my mother was ill and dying, in the summer of 2008. To this day, I find it very beautiful and sad. I thought: I’ll tell my readers I saw that. 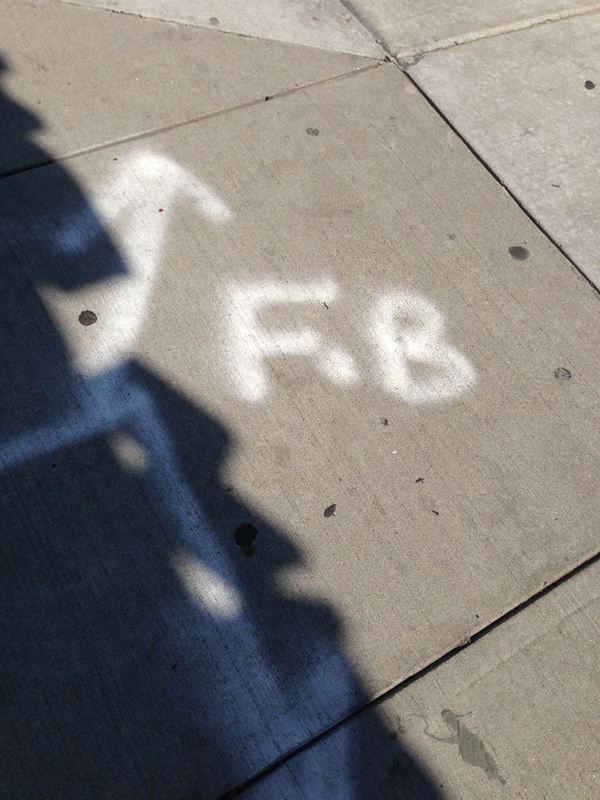 I’ll use those initials — “F.B” — to share some thoughts about FaceBook, a topic that often comes up in my therapy groups. Plus, my mind seems tuned for making connections, so I was sure I’d identify other F.B’s during the day. Throughout the morning, I thought of other ways I could use the initials F.B., in order to create a Fine Blog, perhaps, for you. For example, the doctor I recently mentioned in this post (about a patient whose application for disability was initially turned down) has the initials F.B.! I considered taking a photo of Dr. F.B., for this potential and planned post. Just then, I checked my email and found that another patient of Dr. F.B.’s, who was also in therapy with me, had passed away. Those who worked with this amazing woman, including Dr. F.B., immediately exchanged messages, sharing our surprise and grief. Later that day, the good doctor F.B. and I met in person, to talk and reminisce. We agreed that our late patient — despite her many illnesses and challenges — had a spirit so indomitable, we expected her to outlive the two of us. All day, I remembered and imagined the deceased — her voice, her expressions, the way she met the world. I heard and saw her, as I worked with other people, and when I walked and sat near a quiet brook. I looked and listened, the rest of the day, but took no photos. And I abandoned any previous plans for today’s post. I want to tell you this: I loved working with this woman. She lit up my office, every time she appeared. We shall all miss her, very much. Even though I’m working on my reactions to death, I still cannot believe that somebody is so there, and then they are not. If I saw her again, what might I tell her? I’m grateful I knew her. Thanks to all my readers, for looking, listening, and joining with me, today.